Hello All, This will serve as a formal forum announcement that we have released the version 1.1.8 update for the TBM 900. 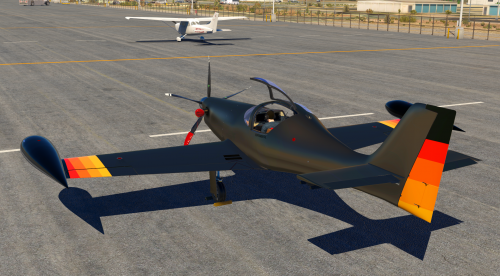 All customers who have purchased the TBM 900 up till now have been sent an e-mail by X-Aviation with complete instructions on how to obtain your update. We have made this a very simple process! For those that purchase the TBM 900 from today forward, your purchased download will already be updated to version 1.1.8 for you. What if I didn't get the update e-mail? If you did not receive your update e-mail don't fret! X-Aviation has updated our system to allow all customers to update with ease, regardless of whether you received an e-mail for the update! Here's what to do: 1. 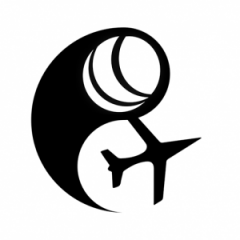 Login to your X-Aviation account here: https://www.x-aviation.com/catalog/account_history.php 2. Find your original TBM 900 download and re-download the file. It will download as the latest version! The following is a list of additions/fixes included: What's New / Changed: Improvements / New Features: New and much fancier headset model. Bugfixes: Rain effects would cause screen flashing when reflection detail was above Minimal Fixed broken baro minimums entry. Tutorial arrows need to be able to render in VR. When AUX BP AUTO engages, FUEL PRESS should extinguish when the engine driven pump is operating. SVS impact rendering wasn't being drawn. SVS on AMD GPUs was not drawing the sky correctly. Increased propeller blade model twist, the old one was a bit too flat. Intercepting NAV in OBS on the outbound portion of the OBS track didn't work right. 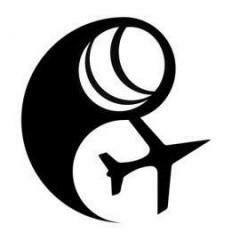 As always, thanks for being a customer with X-Aviation. We appreciate your feedback and support! Enjoy these latest updates, and stay tuned to the forum as we continually announce the latest happenings. Re 1: Already fixed - will be in next release Re 2: Should be fixed as well, will check Re 3: Yes, it should. Bug logged. Re 4: Still looking into this, but this might be an X-Plane bug as a whole, still being investigated. Re 5: This is an X-Plane command that we are not intercepting. Not sure about this as well, will look into it. Expect an update in the next few days, we have a large list of bugs already fixed, and more being worked on. Just took this beauty for a ride in VR in rainy weather. Can i just say thanks for creating a beautiful product. This complements my TBM 900 perfectly. X-plane just got a lot more enjoyable! Take Command! 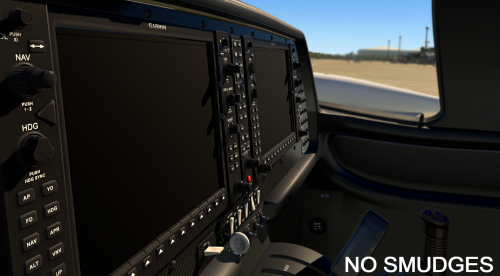 Saab 340A v1.5.1 Update Released! I was able to recreate this and we are looking into it. The reason we ask people to remove plugins is to find out which one is causing the CTD. That's just the first step. Once we find out which plugin is the problem, Saso then tries to figure out a way to create a "workaround" to the problem, if he can, from the TBM side...so in the next update, the conflicts will hopefully stop. If he cannot find the problem in the TBM, then we ask the person with the problem to make contact with the developer of the plugin so THEY can take a look and see if they can find the problem. The same thing happened with the Saab. People were getting crashes when they ran the Saab with xEnviro, and they were absolutely sure it was the Saab that was at fault. Jim (Saab programmer) and Ben (Gizmo programmer) went through every single bit of code to see if they could find the problem. They never did, and determined it was indeed, xEnviro. Andrey at xEnviro denied there was any problems. I pleaded with him to check, and he reluctantly checked, expecting to find nothing. He added some debug code and asked a small group of people to test it. After testing, he found the problem was indeed with xEnviro and proceeded to implement an update. This update, however, from my understanding, won't be available until version 1.10. We certainly don't want anyone to permanently remove their plugins. It's just a way for us to determine what is causing the problem so we can go about fixing it. In saying all that, most of the issues people are experiencing are isolated to a very small group of people, but we still try to help as many people as we can. Coop...thanks for the response...nice call...I grab the latest, even though I had it...AviTab works perfectly. Thanks again. Have you ever sent us a log file? A lot of the time, it’s a conflict with another plugin. We’d love to help you, but can’t if you don’t help us with more information. I think it is time, to thank the whole IXEG Team! This product is now out since 2016. It was a long way from the first pictures on their website in 2010 (I think) until release in 2016. It´s still a long way to go. Some are waiting for a -400, a -500 or a cargo version. Some are waiting for a fully analog cockpit, and some are waiting for airstairs. I want to emphasize some things which make this team great! They are in direct contact with us all the time through this forum. They help us out, no matter what the problem is or what time it is. An answer can be expected within 24 hrs most of the time. They spent a part of their spare time to work on updates, probably spending tons of money on coffee, to make a great product even greater. They are very open to all kinds of feature suggestions, no matter how complicated or nitpicky they are. *caughing* They are honest about the few flaws the product has (for exaple the dreaded VNAV code ) I think I speak in the name of a few more people i f I say: Thank you for your all efforts and probably a few sleepless nights! Thank you for all your support! Thank you for all the time spent to make the IXEG 737-300 what it is and what it will become! Thank you for dealing with all the difficulties of the everchanging X-Plane system! (flight models, Vulcan, ect.) Thank you for [ please insert whatever you want to thank them for ] If I missed something (I´m sure I did) please forgive me. I'll also check this out over the next day or so. Thanks for the heads up. Many of us went through this. Bug has been fixed, expect it in the next build. There will not be a situation where we enable that option. This product is built to be like the real thing with persistent state between X-Plane sessions. Treat it like a real plane. Shut it down properly, start it up correctly. Use the air frame manager to start fresh. This plane is so popular because of these features. You need to baby it as if it were your own. Learn it in and out and you'll be rewarded. Saab v1.5.2 will have all new manipulators, new engine modeling, and some other updates/fixes. It is being worked on as we speak and will be released "VERY SOON"®. Saab v2.0 will be a complete overhaul and is planned for the "NOT TOO DISTANT FUTURE"®. Perspective is also important. How much did you spend on groceries last time you shopped? How much does it cost to fill your car? The amount of fuss people make about the cost of software products with free updates lasting years relative to the other expenses in life would be laughable if it wasn't so depressing.